How have the premodern Shaiva ascetic sect of the Nāth Yogīs (known also as the Yogīs with splitted ears) succeeded in maintaining its presence and importance until today? This book intends to give a general survey of this sampradāya which is said to have been founded by the Siddha Gorakhnāth, known for his strong link to Haṭha Yoga. However, rather than to Yoga, the history and expansion of the Nāth sect are linked to its rich legendary corpus. Dealing first with the marks of belonging (such as the huge earrings worn by the fully initiated Yogīs) which give the sect its unity, the book then focuses on its organization and explores the dialectics between the wandering Yogīs and the monastic settlements. The book gives a detailed account of two pañcāyati monasteries, the Kadri Maṭh of Mangalore where its head’s enthronement is spectacularly performed every twelve years, and the Caughera Maṭh of Dang Valley in Nepal, the royal foundation of which gives a glimpse of the complex relationships that can exist between monasteries and kingdoms. It then focuses on three nījī maṭhs: Amritashram in Fatehpur (Rajasthan), Ashtal Bohar in Rohtak (Haryana) and the Gorakhpur mandir (UP). Each of them shows a different mode of adaptation to a modern context and attests of the present importance and continuity of this pluri-secular tradition of asceticism. Véronique Bouillier is a social anthropologist at the CNRS (Paris). 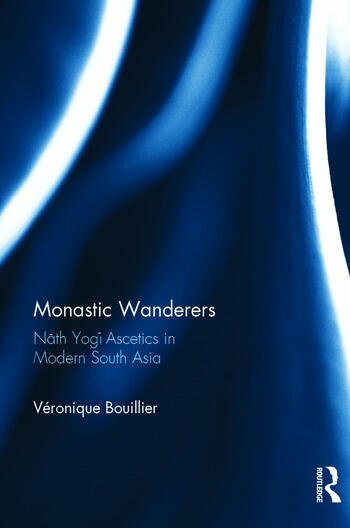 Looking first at the social organization and history of Shaivite ascetic castes in Nepal, she turned to the study of monastic structures, as implemented by the Nath Yogi sect in Nepal and in India, and devoted two books as well as several articles both in French and English to the interface between asceticism and society.